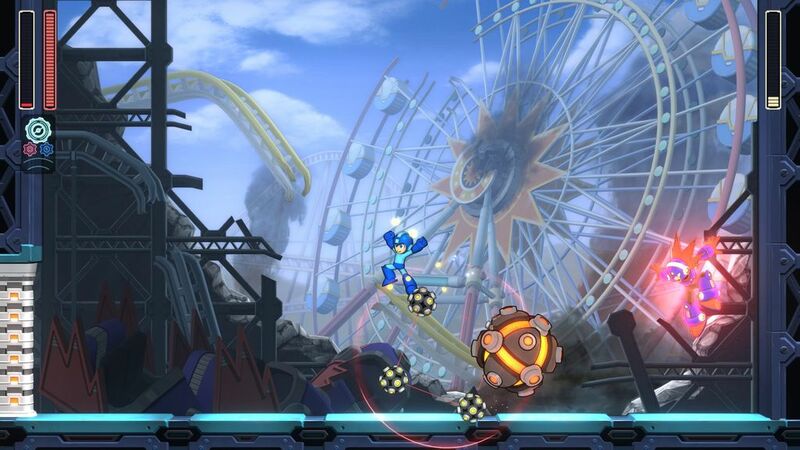 Since 2010, the Mega Man series has mostly lied dormant. Fans of the blue bomber have seen him in an officially-licensed fangame on PC and a pair of top-shelf compilations. Thanks in large part to Mighty No. 9’s Kickstarter in 2013 and the subsequent failure of the game itself in 2016, it was clear that there was still a lot of interest in Mega Man, and Capcom has wisely capitalized on it with an all-new entry in the mainline series. Whereas Mega Man 9 and 10 went with a Mega Man 2 skillset and direct influence, the eleventh entry uses Mega Man’s complete skillset and changes it up a bit. One small change is Rush being moved to a simple button command now – so you don’t have to scroll through a menu to get to new heights in a stage. The biggest change is the debut of the double gear system, which allows you to choose between either increasing the buster’s power or slowing down time to dole out damage in a more efficient manner. 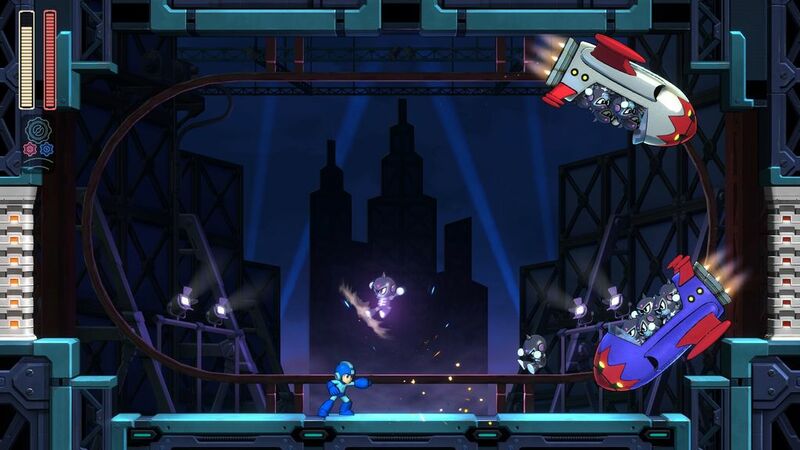 The core Mega Man series has tinkered with adding new powers every so often – but these changes are significant and make every area just a bit different depending on whether or not you choose to use either power during a stage. 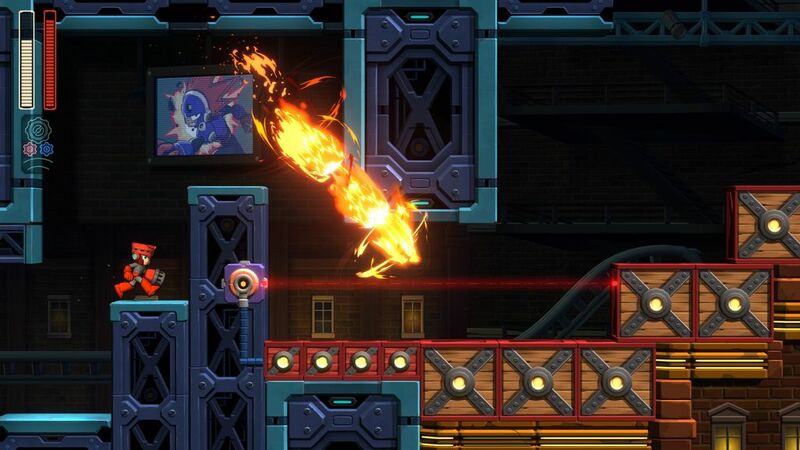 While things like the Rush jet or various Mega Man 6 armor pieces added in a level of speed and dexterity that would later be more akin to the Mega Man X series, no sub-series has seen powers quite like this. Sometimes, upgrades would be similar to prior weapons – but these changes can completely change how you play the game. New armored enemy types have been added that in theory require the usage of the slow down mechanic, but can actually be toppled without it – it’s just much harder and your timing has to be more precise. In a way, this adds a sense of challenge since you can avoid using the slow down mechanic if you want. Sure, you can choose a hard difficulty setting – or you can do that and then add more challenge on top of that by putting this self-imposed handicap on yourself. Similarly, the powered-up ability makes sub-bosses easier in theory. Your timing still has to be dead-on, but by doing more damage, you can be more efficient. It’s fun to go through the stages and just demolish lower-end enemies and then try to have that same level of power against larger foes. While they do take longer to topple, it’s more fun to see yourself destroy them in less time. However, doing this requires far more skill – while using the slow down mechanic makes tougher battles easier, it can also be less-fulfilling. One of the biggest lessons learned about the Mega Man series in its official absence was just how important the feeling of the game truly was to creating a memorable experience. 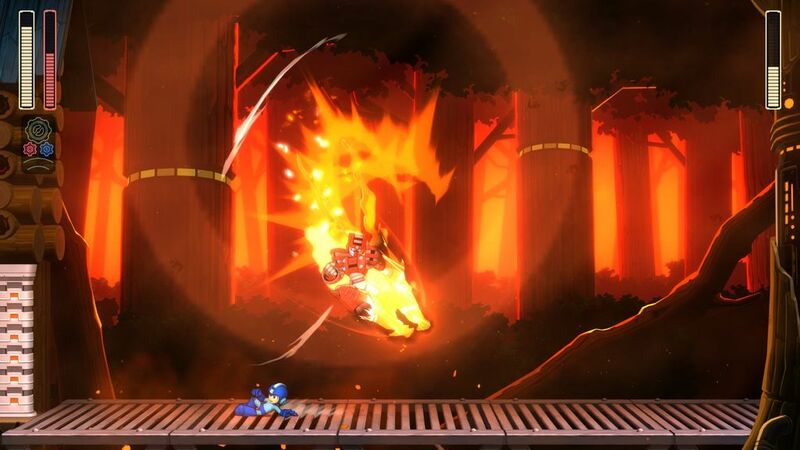 Keiji Inafune’s Mighty No. 9 looked the part and had jumping and shooting – but it lacked the tight controls that made the pixel perfect platforming so exciting. It’s the kind of thing that separates a good game from a great one, and it was sorely lacking. In its place were some gimmicks of its own that like the double gear system here, kept things similar while changing them up. 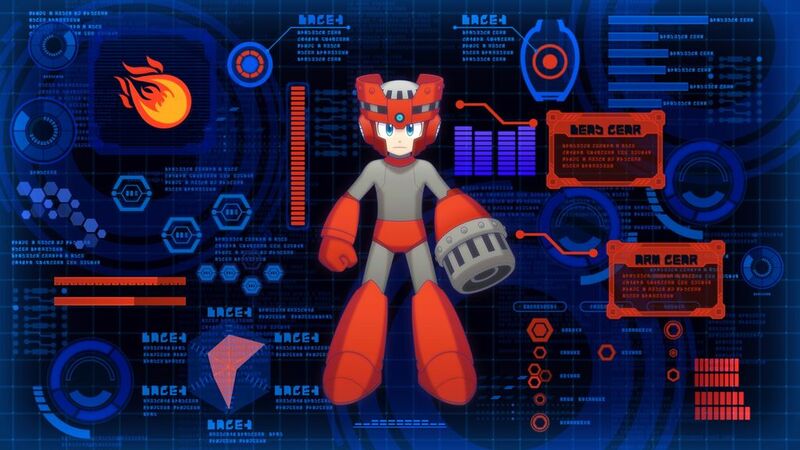 The core structure of the game is what it was in the original series before the roster of robot masters was split in half. Like the classic entries, you get to choose between eight rivals at a time instead of splitting it into two sets of four. In doing so, you still have the challenge of figuring out more boss weaknesses on your own as there are no hints given – and that’s part of the fun. Using logic is a big key in figuring out weaknesses and good old trial and error never fails to help out either. Some may find the lack of direction frustrating, but the inclusion of many difficulty settings should ease this burden – and does allow this to be the most beginner-friendly entry in the series outside of Mega Man 10, which did go overboard in making easy mode a bit too easy at times. 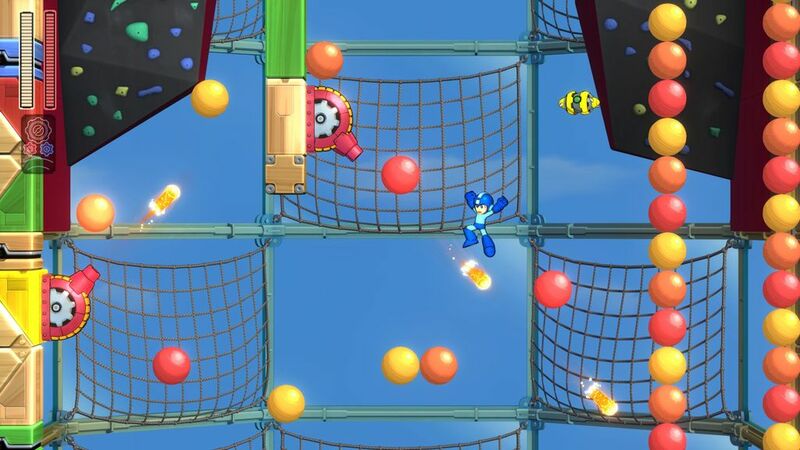 Mega Man 11 is tough but fair – even on the easiest difficulty levels, which keep the same hazards and only give you buffs like angelic lifts upwards from bottomless pits and do nothing to ease the knockback. The level design is built around the new powers with a new set of challenges. Insta-death sections are nothing new to the series, with its plethora of things like spike areas or laser beams filling the screen – but this entry mixes it up with auto scrolling sections that have similar stakes. These left-to-right areas feature obstacle courses while things like flame walls ensure that you will either move right correctly or die. The great thing about them is that you can solve the problems they pose with a bit of forethought. You can choose to either blast through things with a charged shot or make use of your powered-up buster shot and help out that way. However, it’s a risk/reward for each. 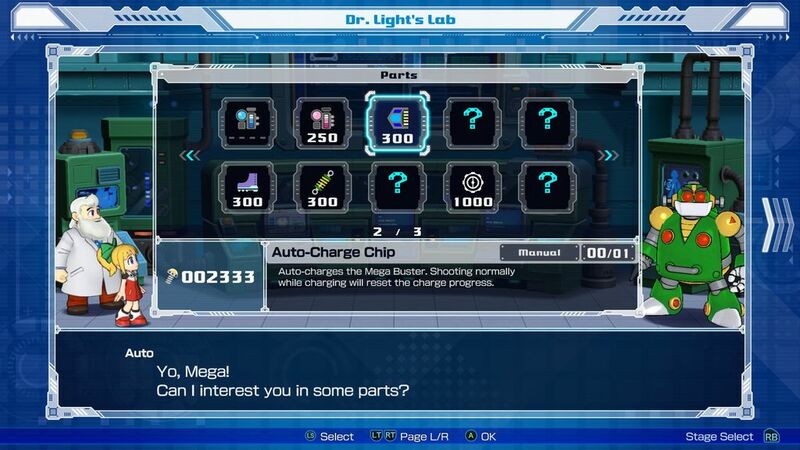 If you try nothing but charged shots, you might run out of time, while relying entirely on powered-up shots means that you might overheat the gear and then have to rely on a charged shot when you don’t have time for it. 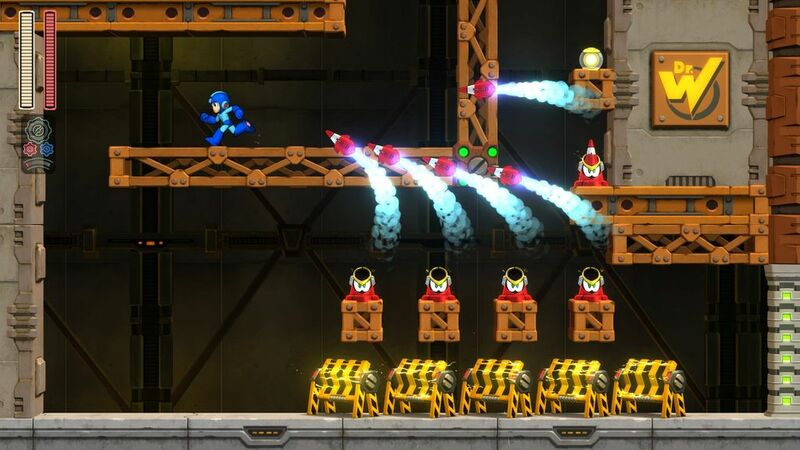 Visually, Mega Man 11 does what Mighty No. 9 tried to do with its concept art and provides a blend of cel-shaded character models and traditional polygonal environments. It’s very much like Mega Man Powered Up on the PSP – only with cel shading offering up a highly-stylized version of all of the characters and giving this entry a very distinct look. 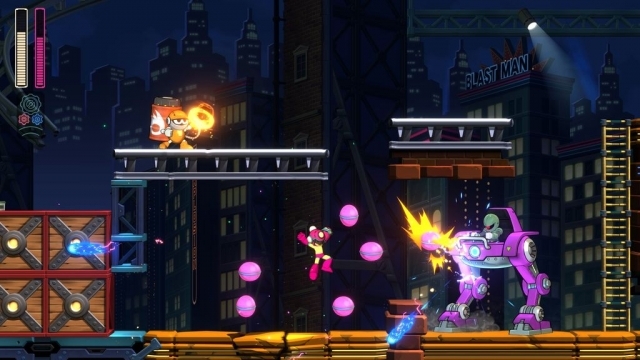 It’s exactly the kind of look a modern take on the series should have if they aren’t going to go with a throwback art style, and it retains the same kind of limited animation that makes things like pixel-perfect jumps possible and easy to space out. The game’s environments may not stray too far off from the norm – but they are highly-detailed and have more life in them than ever before. The Mega Man series has been revered for 30 years and its high quality soundtracks have been a major reason why. They took even forgettable entries and made them a joy to play through. This entry doesn’t have the greatest songs in history but does have some of the most complex. Each song has a level of depth to it that is unusual for the series. However, with that depth comes a lack of memorable tunes. Every song is fun to listen to in the game, but nothing quite stuck with me so much that I had it playing in my head after a play session. The sound design is similarly improved, yet less memorable. There are more things going on with weapons from enemies making more kinds of noises, but none stick with you. The music is probably the most disappointing part of the game, unfortunately. Luckily, it’s the lone weakness of what is otherwise a very good game. Is it on-par with the classic franchise’s best entries ever? Not quite – but it is in the top third of them and that’s huge. 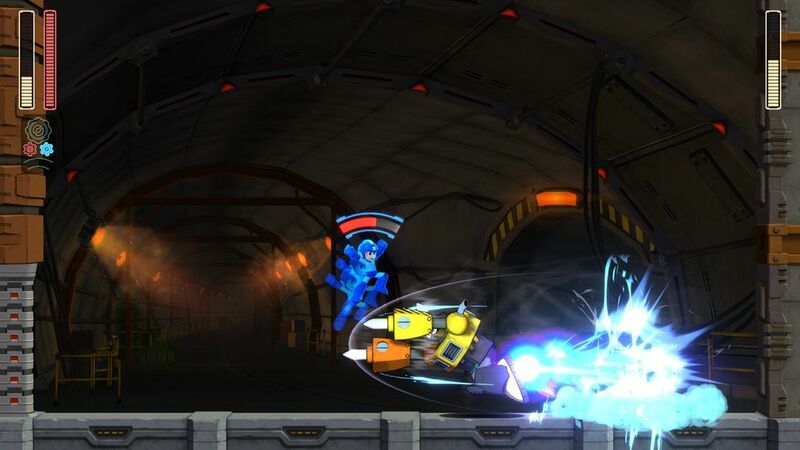 Mega Man 11 is coming at a time of great unrest for the character and this shows that the franchise can be done quite well even with new people at the helm. It takes the best of what worked before and manages to add new things in to make it feel modern and more than just a retread of the past. It’s a great buy for anyone who has either loved Mega Man, or wanted to see what the fuss was about. 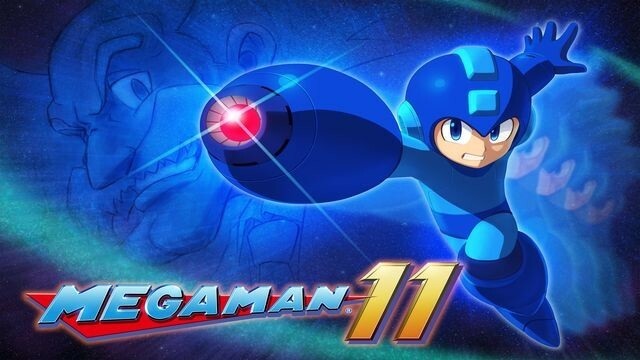 This review is based on a digital copy of Mega Man 11 for the PlayStation 4 provided by Capcom.